The public can view the designs and submit comments on the project webpage. The options feature minimalistic and futuristic designs. They also offer different views of the summit. 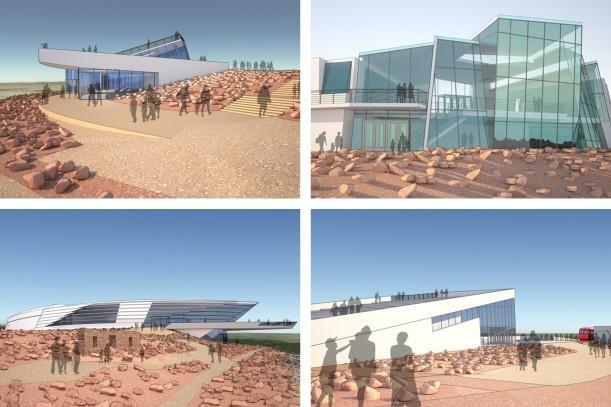 Jack Glavan, Manager of Pikes Peak-America's Mountain, said they're looking to make a final decision in less than a couple of weeks. "The process is moving very well," Glavan said. "We have the five major stakeholders plus the public, so we want input from everybody, and we're hoping to have a great facility within the next few years." Glavan says public opinion is pretty much split evenly between the different options. Construction is expected to start late in 2016 or early in 2017. Read more about the project at the city's website here, as well as this blog post from GWWO Inc./Architects.